Streaming services such as Netflix, Hulu and Amazon Prime Video dominate screens — whether on phones, tablets or televisions. In a 2017 study commissioned by LendEDU, only 8 percent of students surveyed didn’t have access to a Netflix account. Since then, the number of subscribers has grown, according to Statista, and that growth is expected to continue. Many Boston University students, as well as college students nationwide, may have spent their time over their winter break catching up on shows on streaming services. Netflix recently published the popularity of several of their newer original shows and movies on Twitter, including the TV series “You” and the film “Bird Box.” According to the account, within four weeks of its release, “more than 80 million accounts” had watched “Bird Box,” and “‘You” was on track to be viewed by “more than 40 million members” within its first month. One thing is certain — streaming services get a lot of attention. 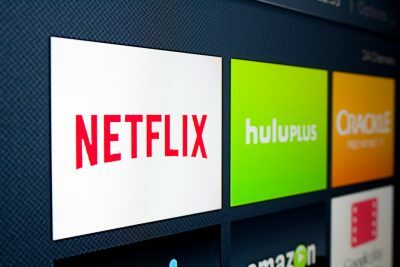 Sarah Krongard, a doctoral student in BU’s College of Communication, wrote in an email that streaming services are so popular because they are personalized and on demand for the viewer. Some concerns have arisen, though, about streaming services’ impact on student time management. The Educational Resource Center at BU mentions Netflix along with social media sites as something students might find as a time-consuming distraction from studying. Some students said they have noticed how streaming services affect them and how they spend their time. Christopher Brown, a senior in CAS, said that while some users binge watch entire seasons in one sitting, others watch sparingly. Krongard wrote that Netflix and other services are just one of many sites and technologies competing for young people’s time. e obstacles stand in the way of them maximizing profits. LendEDU’s study found that 54 percent of millennials surveyed use a friend or family member’s account instead subscribing for personal accounts. In spite of this and other problems, Krongard said she believed streaming services are not a mere trend.